Energy Technologies Awarded Ohio Third Frontier Fuel Cell Grant. Mansfield, OH, March 26, 2008: Ohio's Lt Governor Lee Fisher announced today that Energy Technologies, Inc. (ETI) will be awarded a state grant of $1.0 Million Dollars to assist in the development of fuel cell technologies. ETI will also commit an additional $500 thousand dollars to the development effort grant. The grant is awarded through the Ohio Third Frontier Fuel Cell Program. In the announcement, Lt Governor Fisher stated "Strategic investments from Ohio's Third Frontier Fuel Cell Program have established our state as a global leader in fuel cell innovations." "The investments made today will provide additional opportunities for the development and deployment of fuel cell technologies and will continue to spur economic growth in this important industry." Created in 2002, the Ohio Fuel Cell Initiative is a $103 million program that aims to spur job creation in Ohio while positioning the state as a national leader in the growing fuel cell industry. The initiative is an integral part of the Third Frontier Project, a $1.6 billion high-tech research program. Tactical Power® Fuel Cell Product Line to be further developed. To aid in this effort, Energy Technologies is establishing a new business unit to be known as Tactical Fuel Cells, which will work with fuel cell stack development group of Energy Conversion Devices (Ovonic). This partnership will work together developing fuel cell stacks to be utilized in ETI's fuel cell tactical generation sets sized from 2kW to 10 kW. The technology (metal-hydride) used in this effort offer a unique approach over traditional PEM 1.0 kW Fuel Cell Stack technologies. Compared to PEM, this technology approach offers the ability for more rugged operation over a wider temperature range, lower component cost, elements that are not subject to contamination, offer energy storage not unlike a battery and offer instant start capability; all advantages needed in a product utilized in a tactical environment. The Grant Will Create New Products and Growth for the Community. Energy Technologies, Inc. received the grant for development of a robust fuel cell generator for military applications. 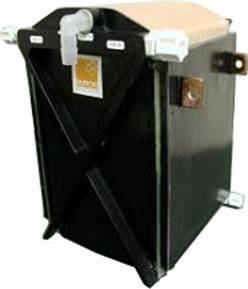 The grant requires Energy Technologies Inc. to deliver a fully functional 1.5 kW tactical fuel cell power plant prototype that includes the fuel cell module, replaceable and refillable hydrogen fuel canisters, power conditioning, military-spec packaging, and all subcomponents, along with application and operation manuals. This fuel cell power plant has been in development at ETI for 2 1/2 years and was recently demonstrated in February, 2008 at the AFCEA West show in San Diego, California. The grant will allow ETI to develop fuel cell manufacturing, taking the production of a hand-built prototype to a commercial manufacturable product. The ultimate focus of this program is to create jobs in Mansfield, Ohio along with an increment of the supply chain with in the state of Ohio. The business plan targets a potential of 10 jobs initially during the 24 month grant time line and eventually as many as 200 positions once the product is released commercially. Energy Technologies Partners with Ovonic Fuel Cells. Energy Technologies & Ovonic are working together to develop reliable, cost-effective back up Fuel Cell stack technology for utilization in power equipment combining ETI's monitoring and control, UPS functionality, and tactical products. Energy Technologies' products are in use around the world where high-reliability and high-quality power conditioning, power generation and computer peripherals are needed. ETI's units are designed and built rugged from the initial design effort to prevent damage due to mechanical shock and vibration. These products also incorporate numerous intelligent monitoring and control features while conforming to all pertinent MilSpec Standards. ETI provides highly reliable, yet cost effective product solutions for the rugged computer and power conditioning requirements of its customers. 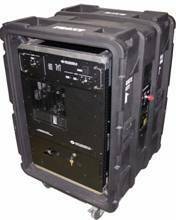 ETI's product line includes Uninterruptible Power Supplies (UPS), Inverters, Frequency Converters, Generators and Solar Products.